I am sure you know that you can use wine glasses also in decoration not just to drink wine from them. If you are looking for different options for centerpieces: whether it is for a party, a romantic dinner or even for a wedding you can find many ways to use wine glasses as part of a centerpiece. It is a very cheap project and you will only need: wine glasses, candles in different shapes and colors and decorations for the centerpiece (ribbons, colored flowers, small fruits). Start by turning all the wine glasses upside down. The “leg” of the glasses will be the new candle holder and the cups will “protect” the flowers and all other decorations. And your beautiful wine glass centerpiece is ready!! 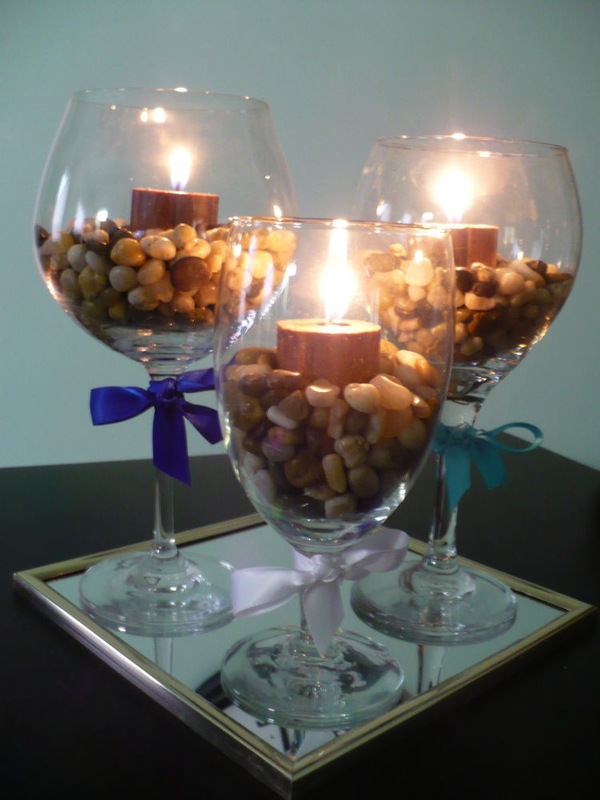 You can also use: mirrors as a plate for the centerpiece, rocks, pebbles and marbles. And so many other ideas. Just look at our little picture gallery and be inspired. Enjoy!! !